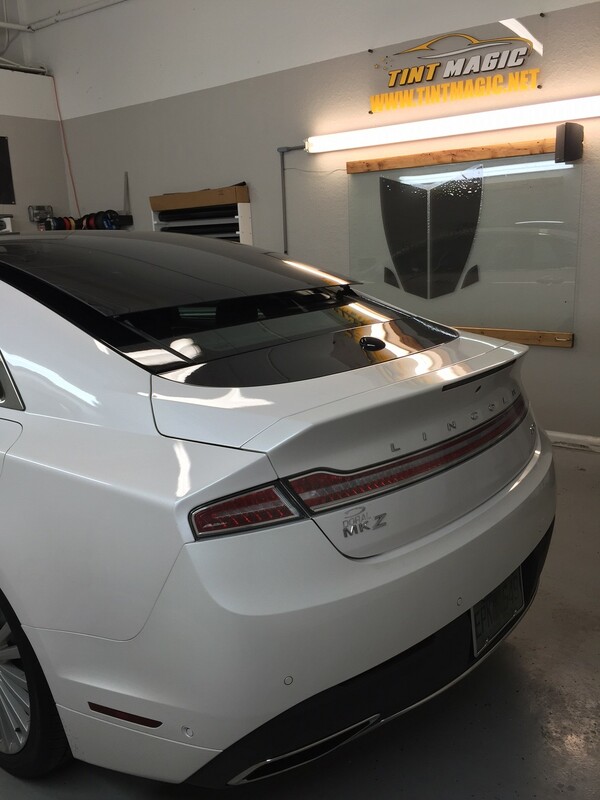 Lincoln MKZ at Tint Magic Window Tinting. 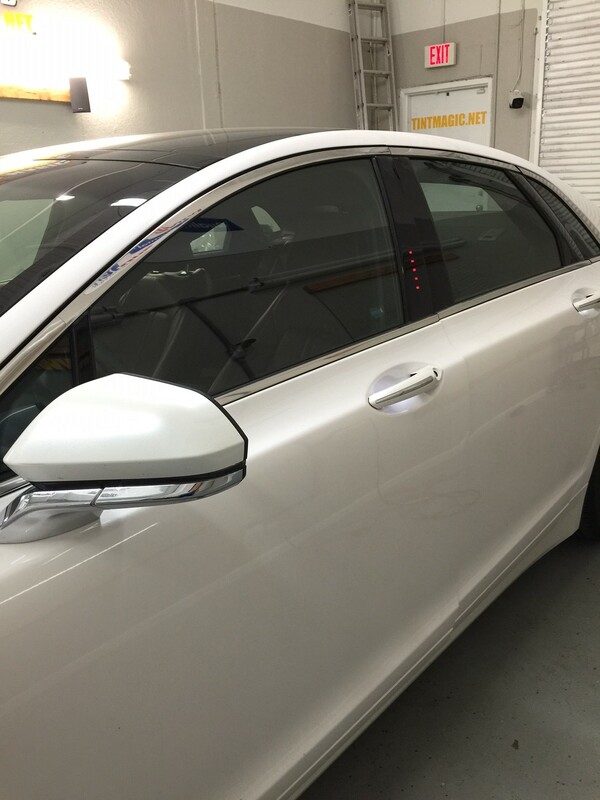 We use computerized cutting system to pre-cut film before applying over windows. Call us for a free estimate! (954)840-7883. We are located at 11344 Wiles Road Coral Springs, Fl 33076. Despite its sleek design, the MKZ is a bit of a quandary: It shares its underpinnings with the Ford Fusion but costs more. There are two gas-engine choices plus a hybrid version. The base engine is a 245-hp 2.0-liter turbo four-cylinder; a twin-turbo 3.0-liter V-6 is optional with 350 hp for front-drive models and 400 hp with all-wheel drive. Both engines have a six-speed automatic. The hybrid is front-drive only with a CVT. The 400-hp MKZ hit 60 mph in 4.8 seconds in our testing. Somewhere in the recent past, Lincoln devolved into the afterthought division of the Ford Motor Company. Once the last Town Car passed into the hands of some livery service, Lincoln’s inventory was reduced to a slew of remade Fords in search of a market niche to fill. And here’s the 2017 Lincoln MKZ, an updated version of the second-generation sedan that has been on sale since the 2013 model year. 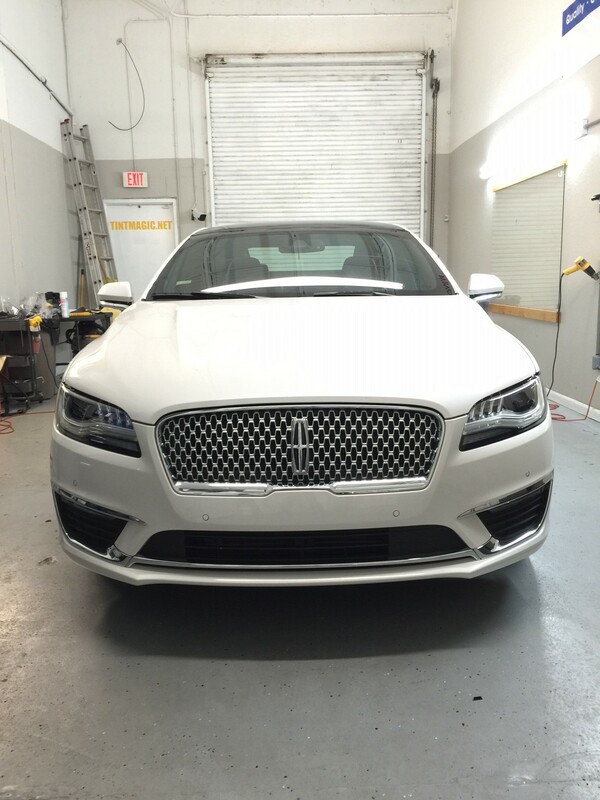 While the 2013 MKZ appeared wholly generic, the 2017 model, thanks to a new grille and headlights, now looks like a Jaguar XJ that’s been squished in a panini press—yet one more Lincoln that kinda sorta looks like it’s trying to be something else. The redo is an improvement, but it’s the first example of yet another new Lincoln “design language” that’s probably doomed to be replaced in two years.